ThruLines Featured on Dance Network! 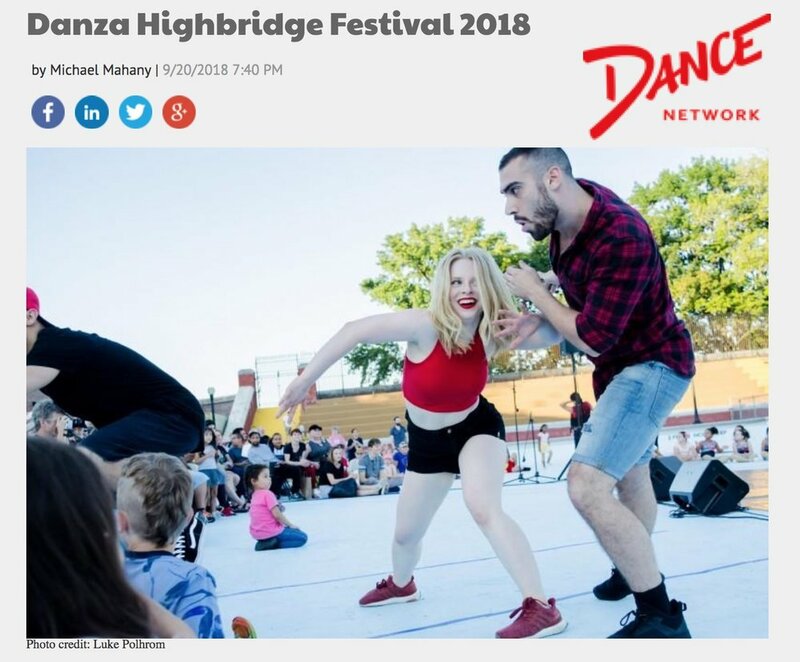 ThruLines performs at the 2018 Danza Highbridge Festival! "With so few opportunities to see a live performance above 145th street, I am excited to share such a diverse lineup of artists with the uptown community," says Cassie Nordgren. "There is a little something for everyone and anyone who wants to can attend…." ALEXA is listed in "Best Things To Do This Weekend" by Metro NY! Alexa featured on Broadway World! "...Alexa, a site-specific show based on the Amazon device, closes out the month-long programming at Culture Hub, a pop-up community arts center that is part of a vacant space activation program by Inwood Art Works... In this site-specific experience, Alexa takes an inside look at the relationships we deem "normal" today as virtual reality comes to life all around you. The invisibility of technology is both amazing and tragic when you're looking for new love in 2018." Alexa featured on Dance Network! "In an abandoned nightclub way uptown, a quiet northern Manhattan residential neighborhood, budding with diversity, has been celebrating the arts in a month long festival derived and developed through Inwood Art Works. The festival... is wrapping up with a, “brand-new dance narrative” called Alexa, inspired by the in-home virtual assistant of the same name...Three well respected New York City dancer/choreographers— 2017 recipient of the Danza Debuts commission from the United Palace of Cultural Art, Cassie Nordgren, Hamilton performer, Roddy Kennedy, and Harlem based artist and creator, Alessandra Marconi— teamed up with ThruLines— “a dance initiative committed to the development of original dance narratives that are relevant and accessible to today’s diverse audiences”— to develop Alexa." "'We are really excited to present a showcase that not only celebrates dance, but celebrates diversity." Nordgren's company, ThruLines Dance Initiative, specializes in theatrical dance narratives...."
Thrulines’ Founder, Cassie Nordgren, speaks to uptown Collective! 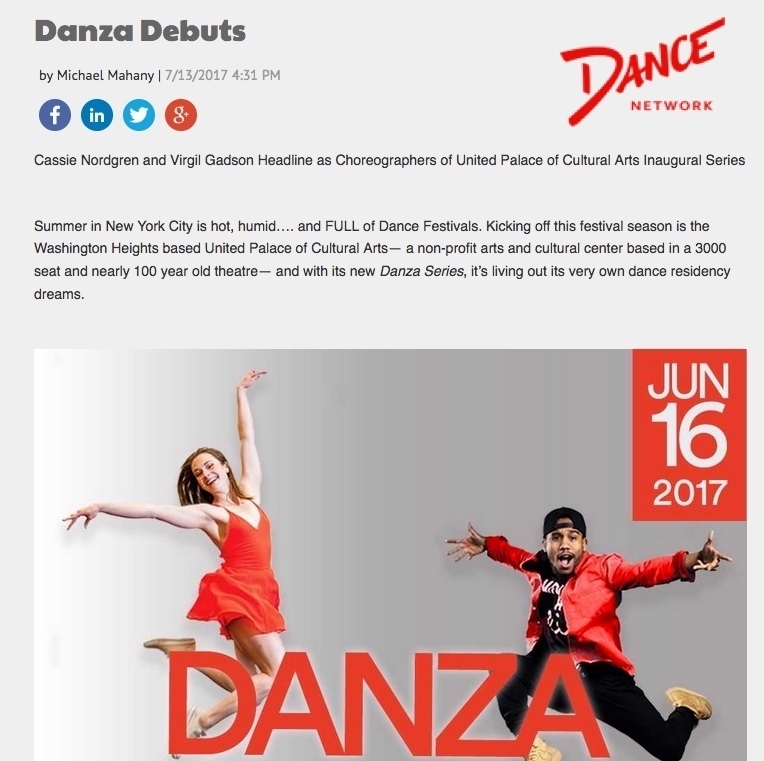 ThruLINES’ Debut performance featured on Dance Network! Cassie recently visited NY1 to promote ThruLines' and the Danza Highbridge Festival.